Moscow if a fast growing city. New roads are being built every season, hard traffic makes simple GPS navigation useless. There are plenty of services covering Moscow and here we choose best for you to trust. Yandex offers reliable live traffic map (apps are available for iOS, Android, Windows Phoneand other devices) with online navigation (separate online navigation apps are available foriOS, Android and Windows Phone) to avoid traffic. Pre-downloading maps is available. It is the most popular and up to date service. 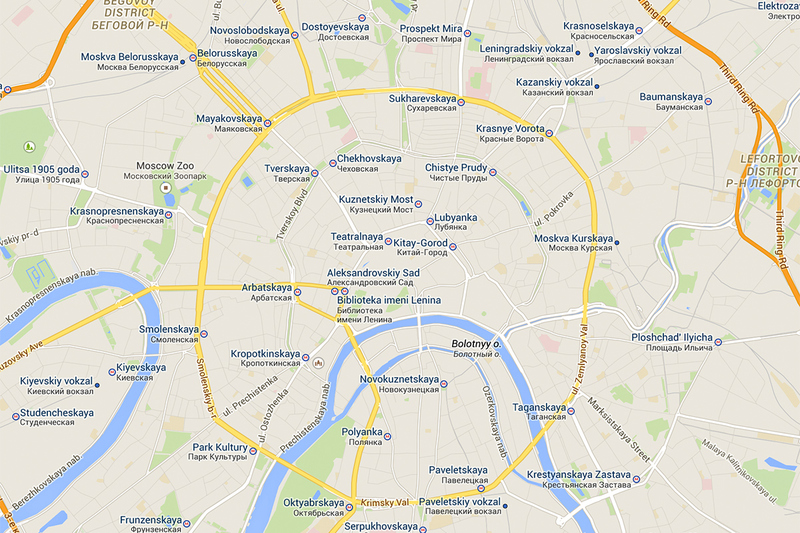 Yandex can show and search latin-written street names. Yandex also has public transport app (iOS, Android) that shows live location of buses, trolleybuses and trams, trace their movements and predict in what time the transport arrives at the stop. For Google Maps it takes a bit longer to update information about new roads and buildings, still it’s a good option for those who don’t want to download anything new. App is also good for people using public transport as it has timetables and routes. 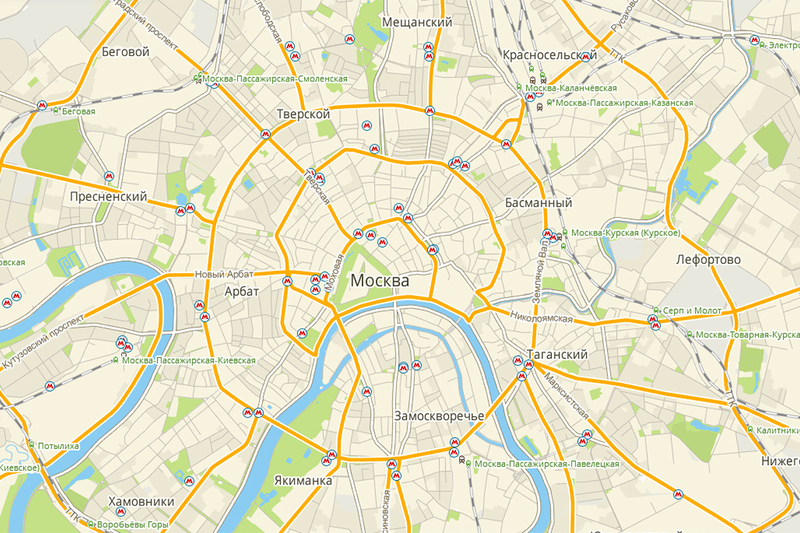 Here Maps is also a good choice as they have a team in Moscow inspecting road updates. Traffic is available too. 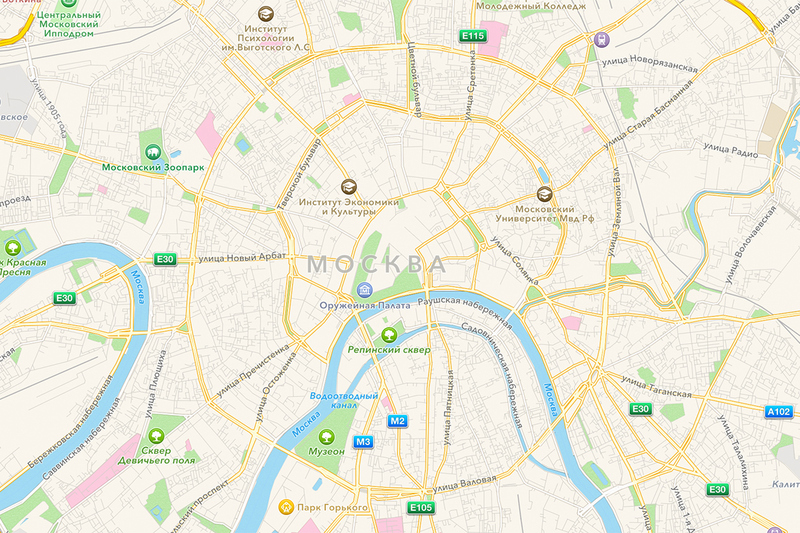 2GIS is also a local directory of companies working in Moscow, providing address, phone number, working hours and even information about where the entrance to the building is located. We do not recommend using Bing Maps, Yahoo Maps, TomTom Navigation or Apple Maps since all of them are outdated. 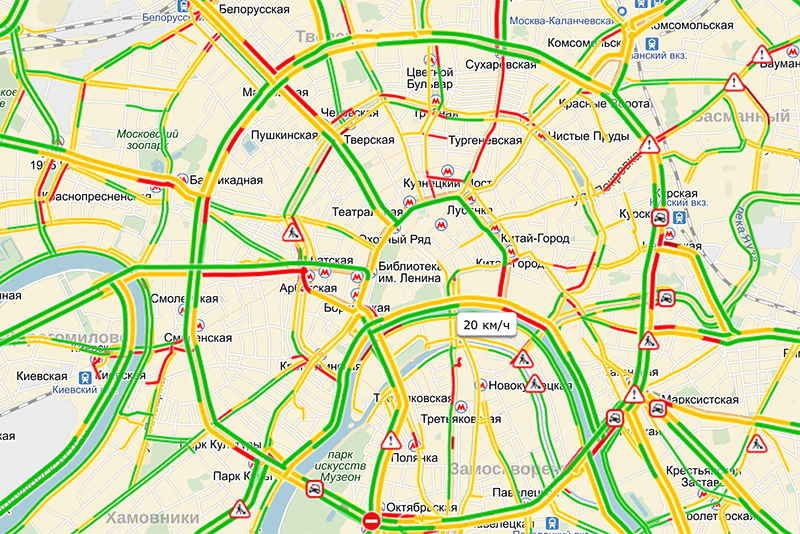 These services provide incorrect routes and have no support of showing traffic which is very important in Moscow.